3 ft x 5 ft U.S. Annin “Nyl-Glo” nylon flag with sewn stripes & embroidered stars, canvas header with 2 brass grommets. 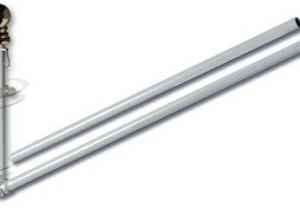 6 ft x 1 in diameter white tangle-free aluminum ‘spinning pole’ with gold ball top and two flag mounting rings. 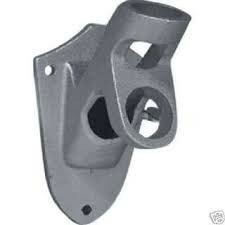 White cast aluminum wall bracket, adjustable to 13 positions. 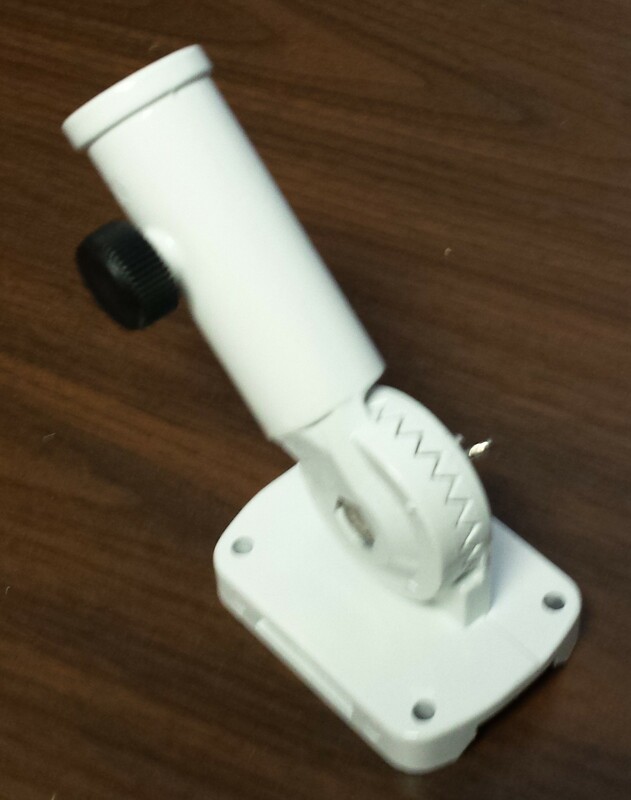 The top half of the flagpole rotates on ball bearings to virtually eliminate flag tangling. 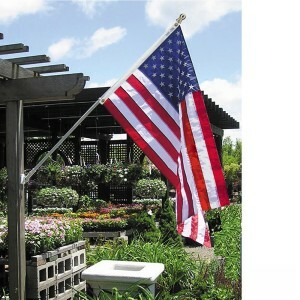 OPEN HOUSE tall flag set: 11.2 ft x 2.6 ft single / reverse polyester flag + aluminum / fiberglass pole + choice of mounting + storage bag. 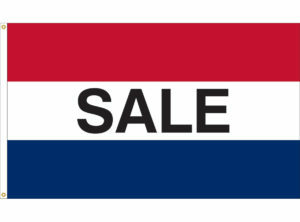 The 3 ft x 5 ft nylon custom message flag has a white canvas heading and two brass grommets on the left side. 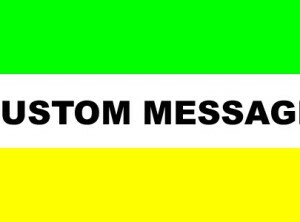 custom message flag is “Made in the USA”. Text reads correctly on the front side and in reverse on the back side. Then during the check out process place your message in the Order notes section…. 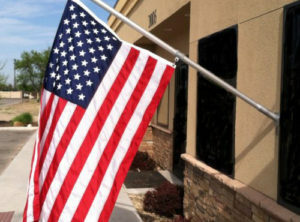 The 3 ft x 5 ft nylon message flag has a white canvas heading and two brass grommets on the left side. The message flags are Red, White and Blue stripes with black text on the white center stripe. Text reads correctly on the front side and in reverse on the back side. The Message flag is “Made in the USA”. FOR RENT tall flag set: 11.2 ft x 2.6 ft single / reverse polyester flag + aluminum / fiberglass pole + choice of mounting + storage bag.